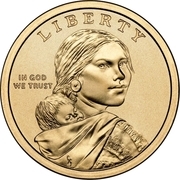 Sacagawea (1788-1812), with child. She was a Shoshone native american. 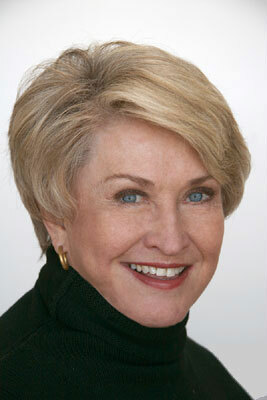 She was an translator and a guide to the Lewis and Clark expedition. 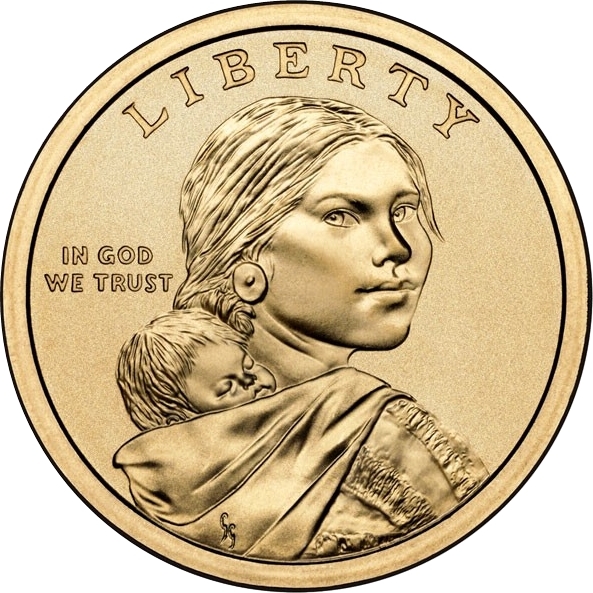 Glenna Maxey Goodacre is a sculptor well known for having designed the obverse of the Sacagawea dollar that entered circulation in the United States in 2000. 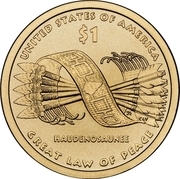 Hiawatha Belt and five arrows bound together representing unity with the inscription "Haudenosaunee", a synonym for the Iroquois Confederacy meaning "People of the Longhouse". 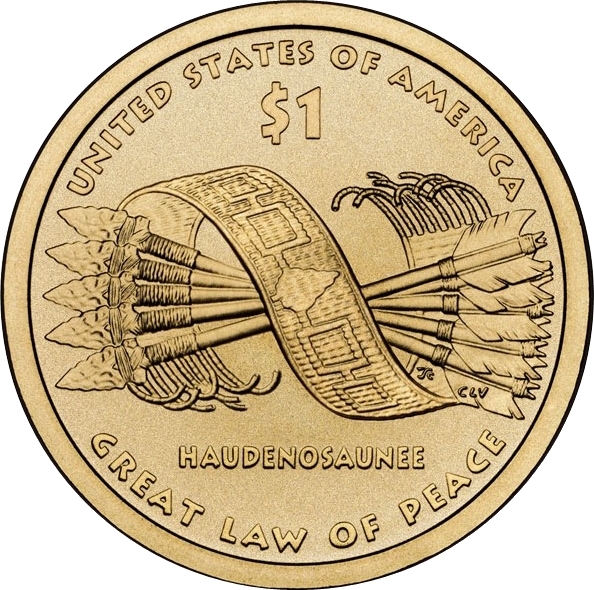 Another inscription is found along the lower edge of the reverse spelling "Great Law of Peace" (an English translation of Gayanashagowa, the Iroquois Confederacy constitution). The Great Law of Peace was used as a model for the Constitution of the United States. The four links on the belt are meant to symbolize four of the five Nations of the Iroquois Confederacy, namely the Mohawk, Oneida, Cayuga and Seneca Nations. The Eastern White Pine tree in the middle of the belt represents the fifth Nation, the Onondaga, and is a depiction of the Tree of Peace.